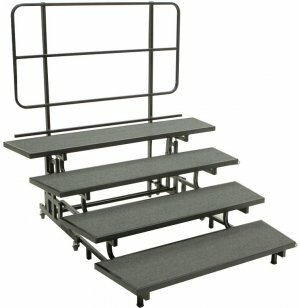 Maximize your space with this tapered, 4-level choral riser. Four levels give you increased capacity and height to accommodate a larger performance. 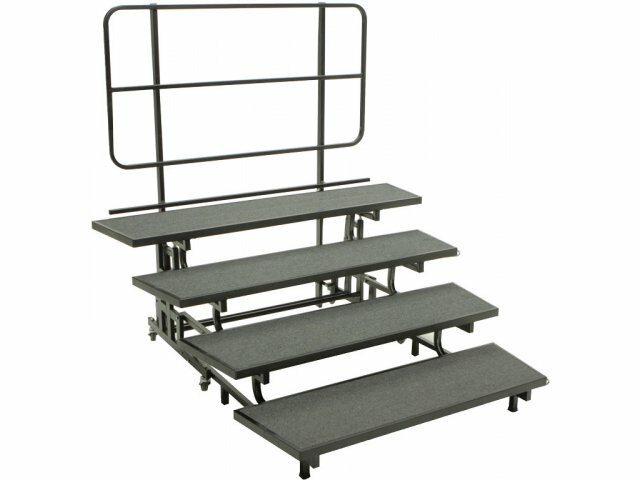 Great choral risers can make any choir look fabulous and professional. 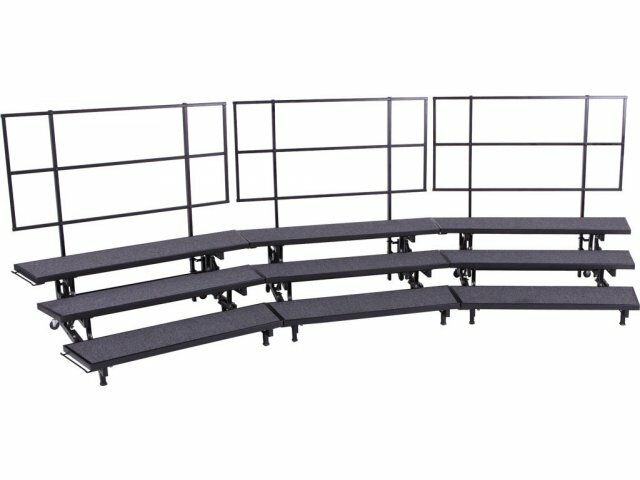 These E-Z Riser Choral Risers from AmTab make setting up your practice or performance area quick and easy. With no assembly required, E-Z risers are up and ready to go in no time. 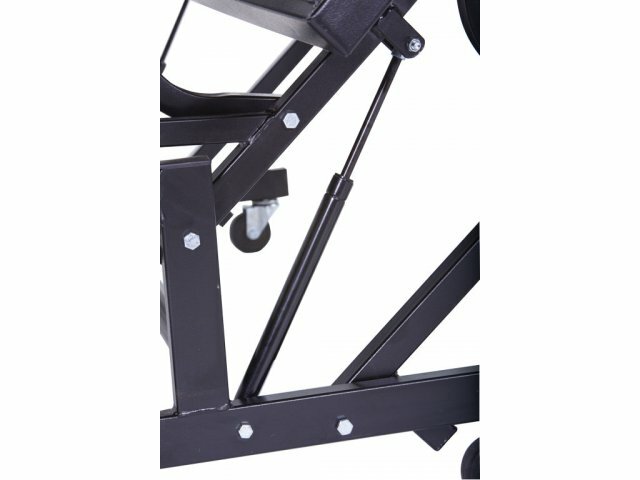 Gas cylinders power the smooth folding mechanism, enabling these choral risers to be opened in one swift motion. With the touch of a finger, these risers are easily opened by just one person. Worried about scratching up your floors? 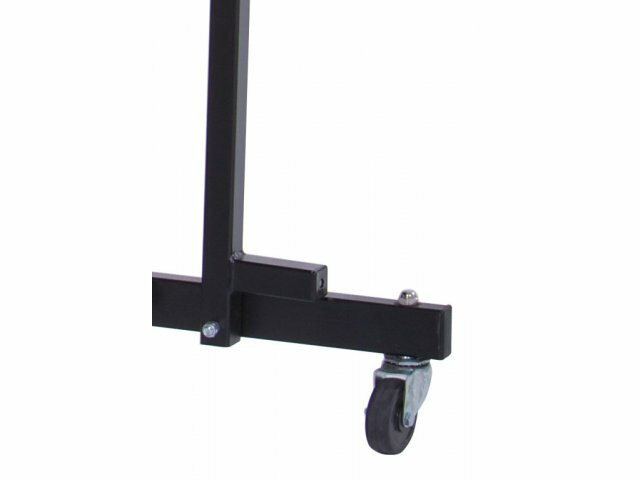 Non-marking casters and dyna-grip glides keep you floors safe, whether you choir risers are on the move or firmly in place. 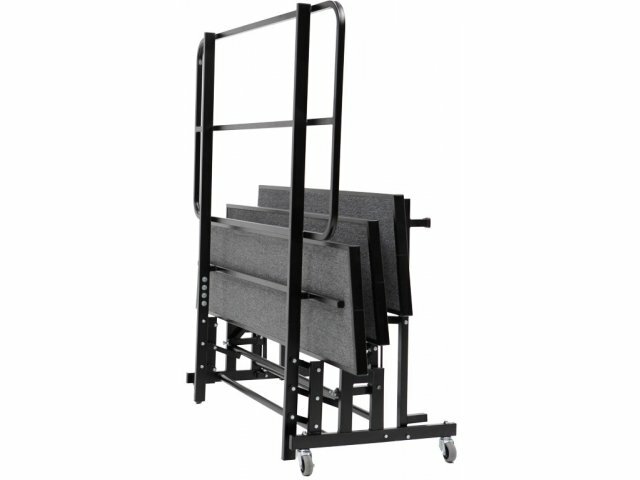 With a back guard rail for extra security, your choir will be safe to sing to their hearts’ content. The capacity numbers shown reflect the number of highschool students that will fit standing with shoulders overlapping, as well as the number that will fit if standing shoulder to shoulder. 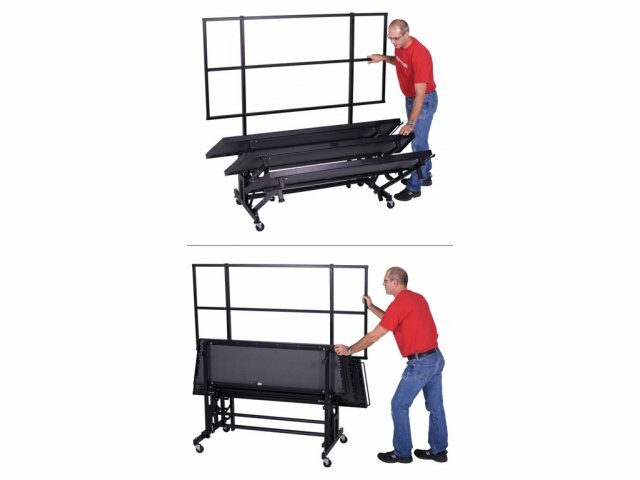 Convenient Storage: Folds compactly (77.5"H x 35.5"D x 77.85"W) for convenient storage. Easy Operation: Gas cylinder enables E–Z Riser to be opened in one swift motion by any adult with a single finger. Easy Mobility: E–Z Risers™ roll smoothly on 3"–dia. 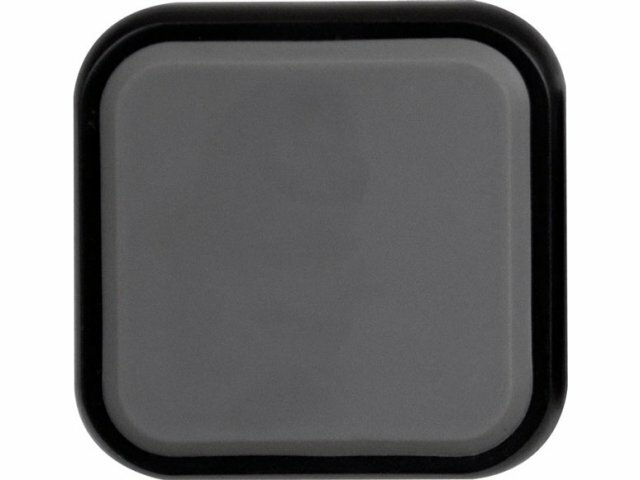 x 1.25" wide, heavy–duty casters. Safety Feature: Guard rail keeps people safe. 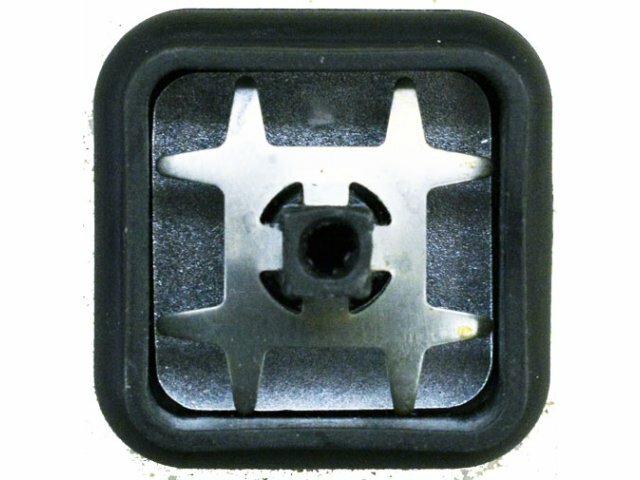 Dyna-Grip Glides: EZ Risers feature patent-pending glides that won't mark your floors and can't be removed from the legs. 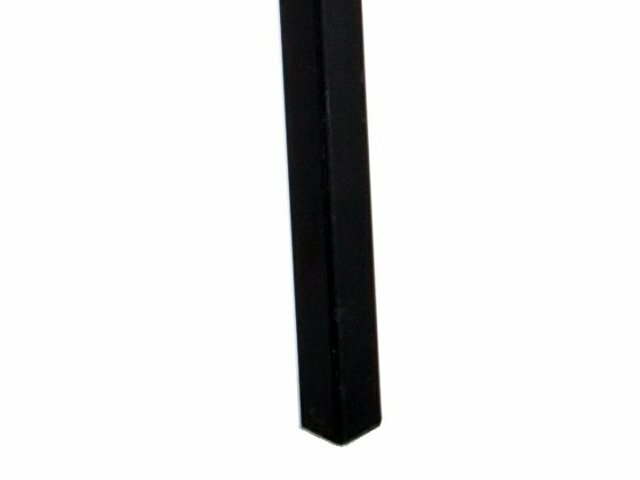 A unique design prevents the metal leg from cutting through the glide and scraping your floor. Attachable Units: Multiple units are easily attached using drop-in couplings. Just drop you risers into desired formation, and they will remain attached firmly in place. Ideal Surface: Carpeted plywood platform prevents slipping and reduces noise. Strong Frame: Based on a sturdy 16–gauge, steel channel frame with 14–gauge legs.